Eaton Square Bar and Restaurant is a stylish and contemporary venue in the glamorous heart of Belgravia. Known for serving some of the most inventive cocktails in London, Eaton Square also has an extensive wine list, great Mediterranean food and live music too. 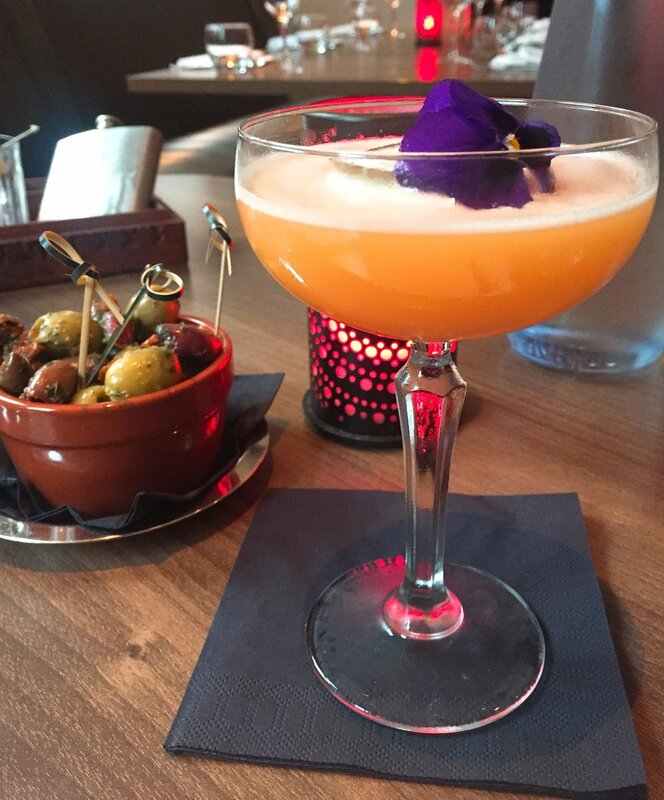 Every meal at Eaton Square needs to start by sampling some of their award-winning, handcrafted cocktails. 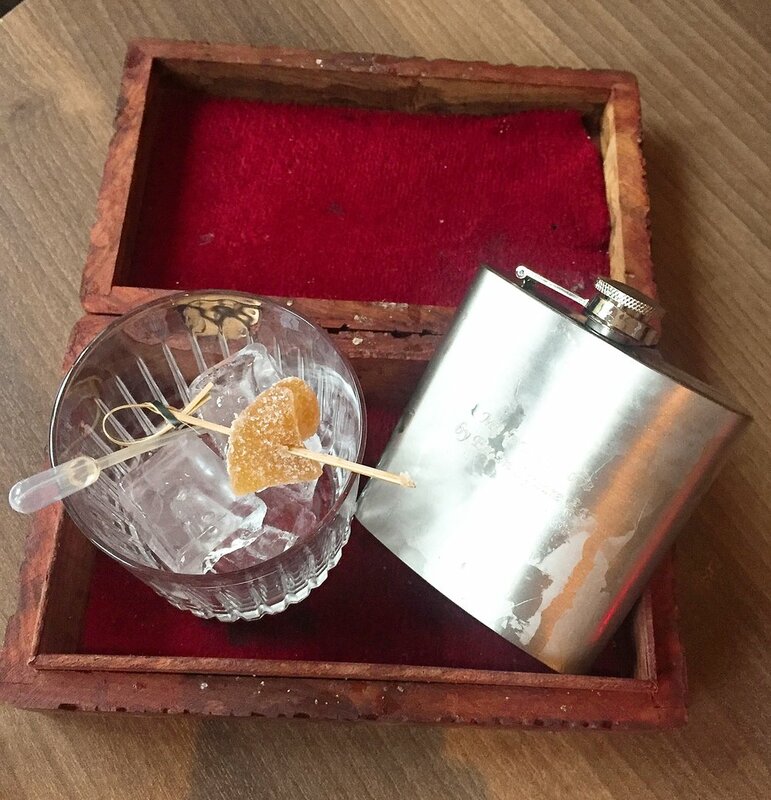 Their standout cocktail is the Old Fashioned Magic Box made with Fig infused Maker's Mark and Naked Goose, and which comes served with a silver flask and old wooden box. The Mix in the Mix, made with strawberry infused vodka, Coconut rum and served with candy was another of their fun cocktails which we enjoyed. Once we had sampled some delightful cocktails, we moved onto the food! For starters, we ordered chorizo and halloumi skewers served with a delicate minted yoghurt dip, as well as lamb kofta meatballs. These were served as attractive skewers with tahini sauce and pine nuts and were moreish and attractive to eat. For my main course I opted for crab tagliolini, which included fresh crab meat flambeed in white wine, chili and cherry tomato in a homemade fresh tagliolini pasta. This was a well portioned dish with a good amount of crab nestled amongst the tangy sauce and moist tagliolini which I really enjoyed. We also tried the BBQ baby back ribs which came with coleslaw and skin-on fries, which helped to balance out what can be quite a meaty dish. Next was dessert and although we had heard great things about the enormous pizza Nutella, we didn't think we could tackle such a challenge and opted for the slightly lighter option of profiteroles filled with crème patissière and topped with delicous warm chocolate coulis and toasted almonds. As Easton Square is based in the luxurious neighbourhood of Belgravia, the prices of the food is reflected in this. Main courses cost between £14- £20 and thus a three course meal with the specialist cocktails can add up. Eaton Square bar and restaurant has the sought after combination of great food alongside stunning cocktails. This makes it a great venue for celebratory gatherings and it can adequately cater for large bookings. In fact anyone looking to host a classy Christmas gathering doesn’t have to look much further than Eaton Square bar and restaurant. A special thanks to Eaton Square and The Entertainer for the invitation!